The Collection includes more than 250 textiles, embroideries, carpets and costumes from across the Islamic lands dating from the 6th to the 19th centuries. This volume is in two parts, the first covering early Central Asia, Iran and Egypt, the Ottoman Empire and North Africa; the second covering later Iran and Central Asia, as well as India. 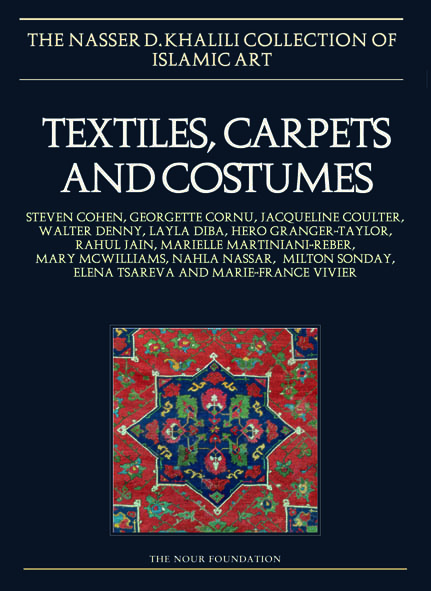 The earliest textiles, of c. 6th century date, show Sasanian influence, while a group of Abbasid and Fatimid tiraz bands represent the emergence of an alternative tradition. More outstanding artistically are the Safavid and Ottoman gold brocades and velvets, and individual pieces such as a section of a silk and silver chasuble from Ottoman Bursa. A beautiful group of woven silks from Sultanate and Mughal India is of particular importance. The ‘classical’ carpets include examples from Mamluk, Safavid, Ottoman and Mughal royal workshops. Notable among the Ottoman carpets is a spectacular star Ushak. 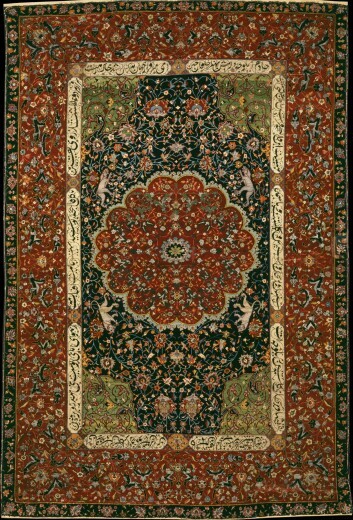 The Iranian carpets include a 16th-century Kashan medallion type in near perfect condition. The Collection is particularly rich in costumes, not often represented in other collections. These range from Ottoman shirts painted with talismanic inscriptions to the famous Kashmir shawls to some spectacular ikat coats and embroidered mantles from 19th-century Central Asia.